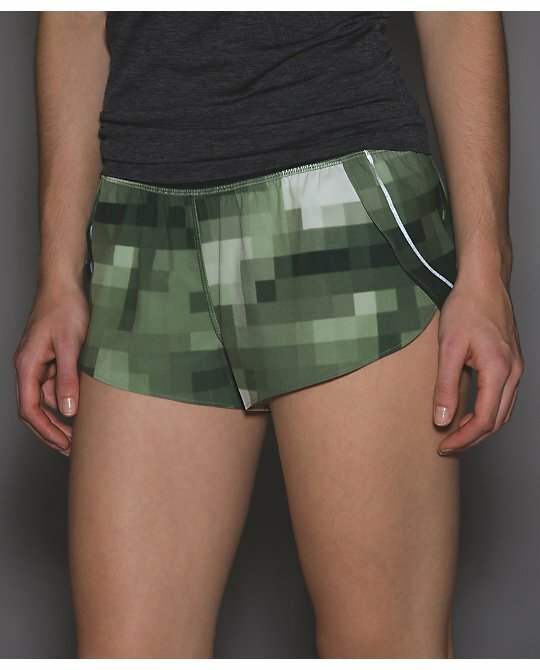 Domo Pixel Desert Olive Split Second Short II. Wind Chill White Split Second Short. 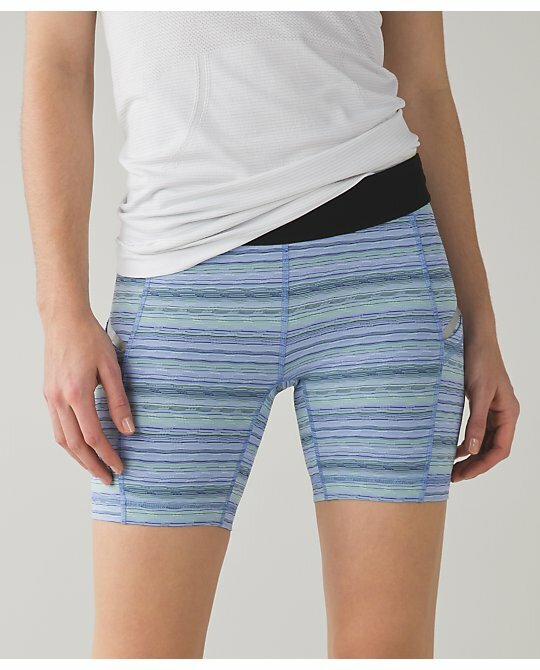 This print reminds me of something Athleta would do. Lullaby/Ray Space Dye Twist What the Sport Short. I like this version of SDT. Silver Spoon Space Dye Camo Think Fast Hoodie (CAN). I ordered this through a Canadian friend. Giant Herringbone Speed Crops. I saw these at my store today. The US didn't get these in a 12 so I ended up ordering them from the Canadian side. I upgraded my phone to the iPhone 6+ so thigh pockets have become a must on my run bottoms. 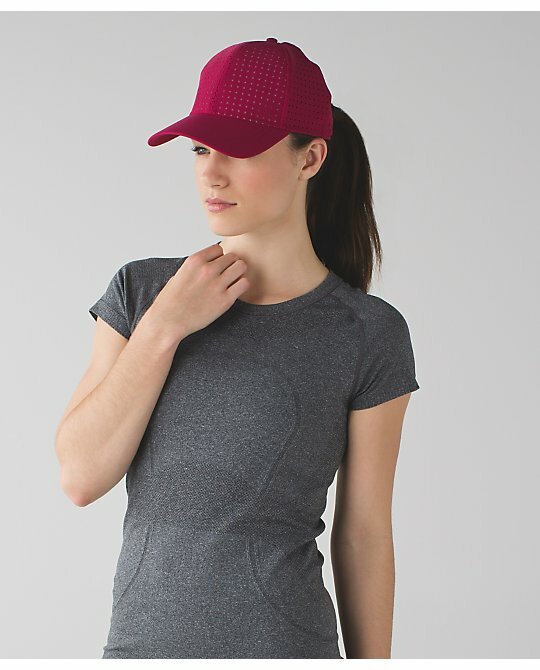 Berry Rumble Perforated Baller Hat. We got this style hat at Sea Wheeze and I like it a lot better than the 'Sup hats. I might get this when it hits the US. Cosmic Dot Wunder Under Pants. This print reminds me a lot of something K-Deer would put out. New Barre Star Pants. My store had these today. Sweat Tee. I tried this on today and kind of liked it. I think you can safely size down in this. 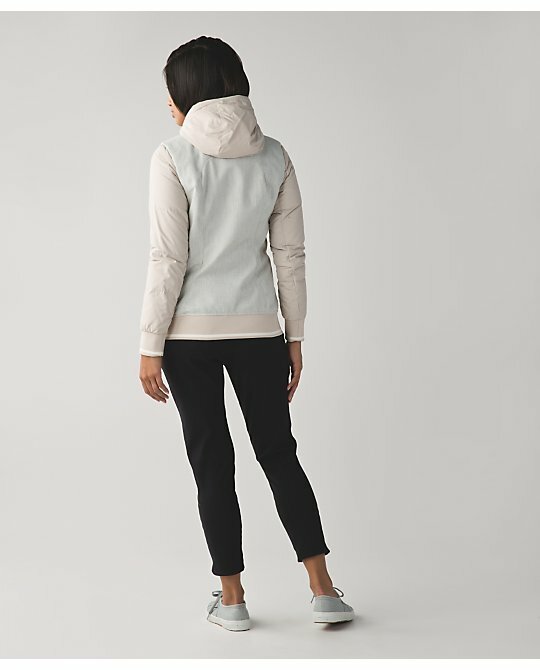 The US got the Aquamarine Herringbone Runderful Half Zip. My local store had this today. Is there a new gray half zip teased in the Race to Place hat pic? Can we hope to get the think fast Canada got today? The one you ordered? Got the Chilly Bomber Jacket in BLK and I love it!! Kind of want the desert olive It's Definitely Raining Jacket, but haven't seen it in Canadian stores and same with the berry LS Swiftly! Anyone else seen these in Canada? @ anon 8:11 pm - I HOPE SO! 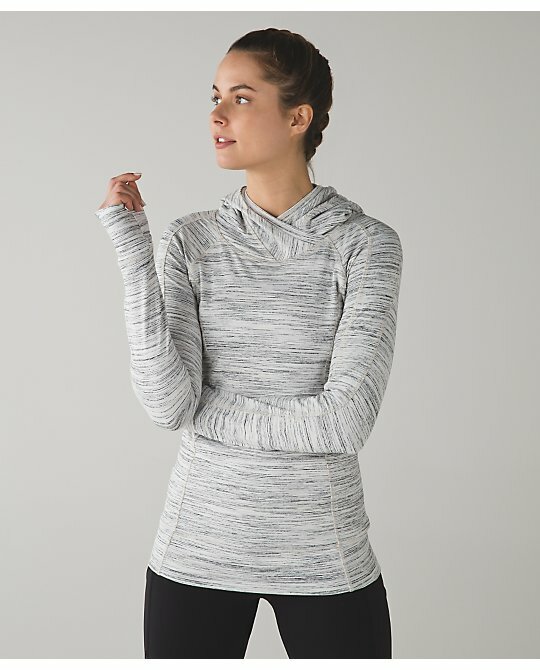 It looks a lot like a Race With Grace pullover to me (there are some details missing so I don't think it is, unless it's a 3.0) and I'm crossing my fingers it is. We've been seeing that top used a lot in photos for other items. 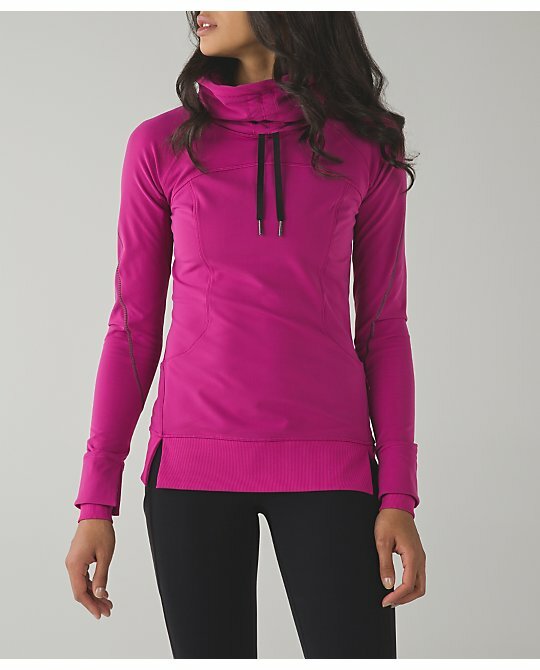 I like it anyway - long two way zip, cuffins, no horizontal stitching on the bust, long length, turtleneck with zipper garage - it ticks all my half zip/pullover boxes. Hurry up and put it out for sale, lulu - I'll take it! I would think we're getting that Think Fast but it's hard to tell these days. I haven't been paying much attention to the Runderful 1/2 zip, but did the US ever get the "tonka stripe inkwell black/black" color or only Canada so far? I just saw it on the Canadian site today. Love that fabric and would love one of those. I was in my local lulu tonight and got the new lullaby let it be LS and got the new define in diamond jacquard berry rumble magenta . 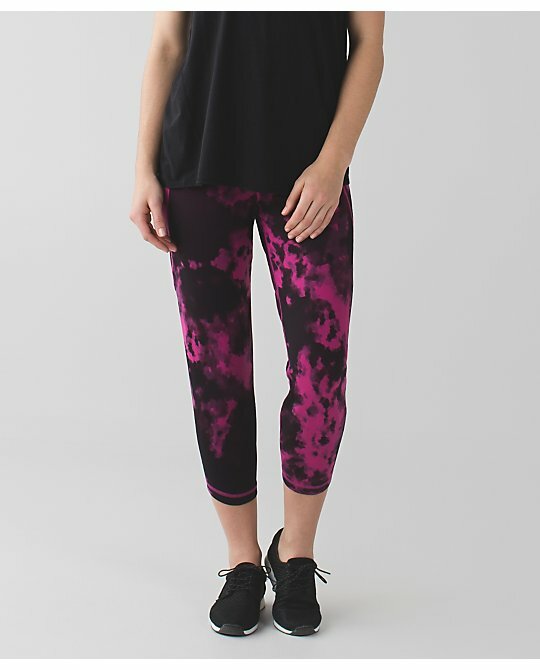 I also tried the sweaty endeavor tight and love them and ordered the new blooming pixie print. I tried on the new speed crop and they didn't fit well on the bottom for me.. I liked them everywhere else but I'm 5'8" and they just hit my calf in a funny spot and were too big unless I pulled them up to hug my calf but then they bunched up in other areas .. Just not right for me. I'd love to get the new think fast color that you ordered through a Canadian friend LLA... Here's hoping we get it!! Also interested in the new bomber jacket of it comes to the us . 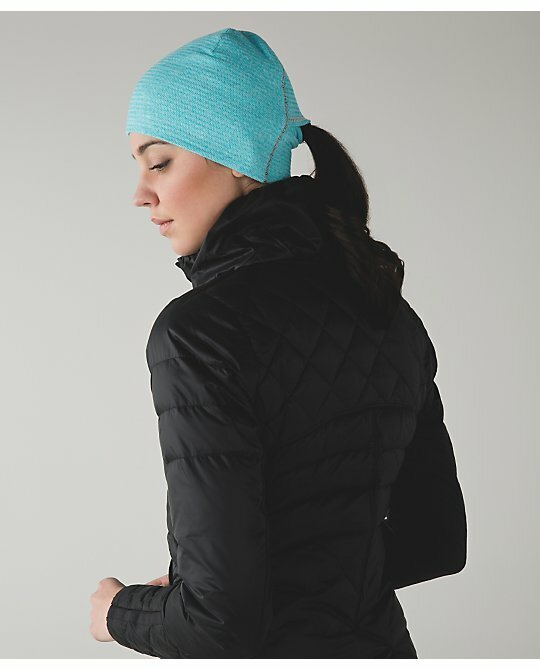 Agree on the Wind Chill White Split Second Short...very Athleta looking. I saw the Aquamarine Herringbone Runderful Half Zip in the store today. Very nice, very soft. Just a bit short for my liking. 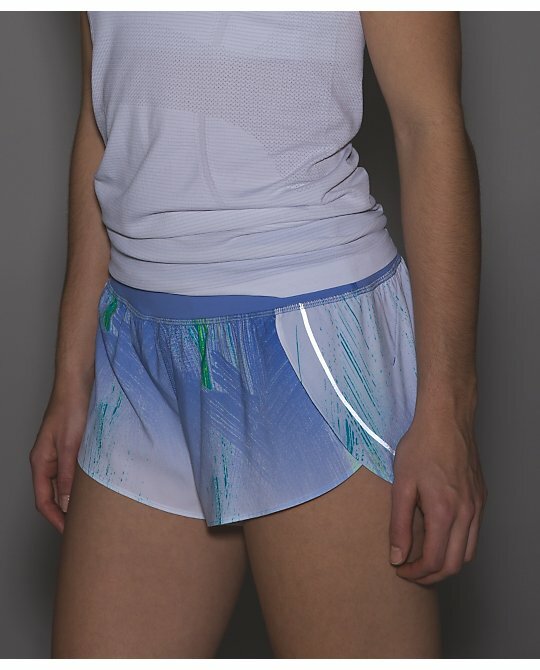 The new What The Sport Short II is 6' instead of 4". I tried it on today. Much much better length for most people I would think. It also seems like a slightly bigger spec. On the original, I had to size up to an 8. This one is TTS 6 for me. Also tried the Sweaty Endeavor Tank today. I love it. However I'm a 34D and there is no way I can wear it even for walking the dog. The bra simply isn't big enough. Causes unnecessary back fat. Bummer, b/c it is super cute for A/B cup sizes. Thankfully, it says that on the tag. Love the Silver Spoon Space Dye Camo Think Fast Hoodie. Hoping this comes to the US. Interested to see what other colors the Flurry Fighter Pullover comes in. Looks cozy! P.S. Also tried the new speed crop today. Love it. I tried the black. 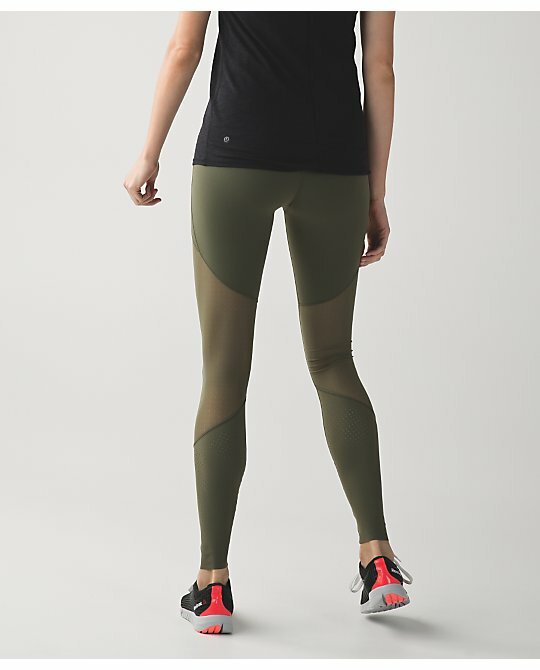 I have to say, I'm not crazy about the full Luxtreme back panel, b/c it is a slightly different shade of black that the regular Luxtreme balance of the pant. That aside, I thought it looked and fit great! @ anon 9:16 pm - 6" is a much better length for the WTSSII. Interesting. I am hoping the Flurry Fighter is coming in a bright blue like Peacock or Kayak. That would be fun. I tried the Sweaty Endeavor today, too, and totally spilled out of it. It is a really cute tank, though. @anon 8:50 pm - I don't think we got the tonka stripe half zip, just the LS. But I could be wrong. Definitely getting the Swiftly. I don't usually as they ride up on me, but can't resist that color. Did we get the bleached coral rest less in the US? I can't find it. I know it's been in Europe for a while. I would order that if I could. Maybe next week? I really like the Cosmic Dot print. You are right, it does look similar to K Deer. The Get Sweat Tee is kind of intriguing for me. Would love to see some try on or store pics! 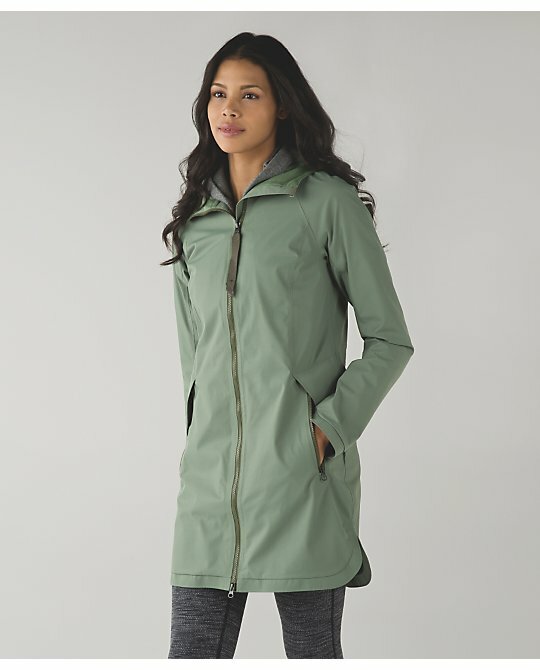 Gosh- the only thing that I have LOVED from Lulu is a long while is that Definitely Raining Jacket in Desert Olive. But a rain jacket for $200? Can't do it lulu. I'm hoping to see more affordable pieces in this color. Would LOVE a Flip Your Dog Tee in this! Nothing for me. Is the lullaby swifty tank only on the Canada side? Should we expect to see a SS? Is there a reason why LULU does not release the swifty tank, SS, and LS all at once? It seems like a tank will get released and you'll see an SS like five months later or never! Thanks for giving K-Deer a shout-out. Between Athleta ripping on her highwaisted stripes style and now Lulu pulling a disco dot lookalike, I really feel like she's been getting the shaft. Small, creative lines like hers deserve more recognition! @ anon 8:11 pm - I think I know the name of that mystery half zip. Hong Kong just got a rulu ls called the Warm It Up LS, which has similar stitching and reflectivity across the forearms to the mystery PO. I bet the new PO is called the Warm It Up Half Zip. @ anon 5:23 am - I do, too. I want it in crops, though. I never wear WUPS to the gym and those are too "gym-y" to wear casually. @ anon 6:39 am - I liked it a lot but am waiting for it to hit WMTM since there are other things I'm more willing to pay full price for. @Alyssa - They used to be better about that but it's something that we're getting all three versions year round now. Used to be tanks and SS would go away until spring and summer and we'd mostly get LS. nothing… I haven't bought anything in months! I want a rulu top in the Tiger Space dye! without weird bust seams. 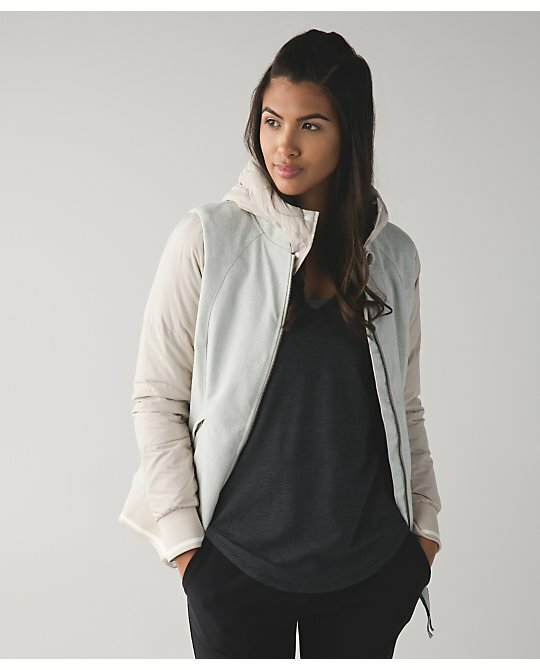 That heathered grey half zip with the white zipper that keeps popping up in accessory pics looks like the Race Your Pace 1/2 Zip from last fall to me, just with a white front zipper instead of the almost pear. The little side zipper for the pocket is even that almost pear yellow color. 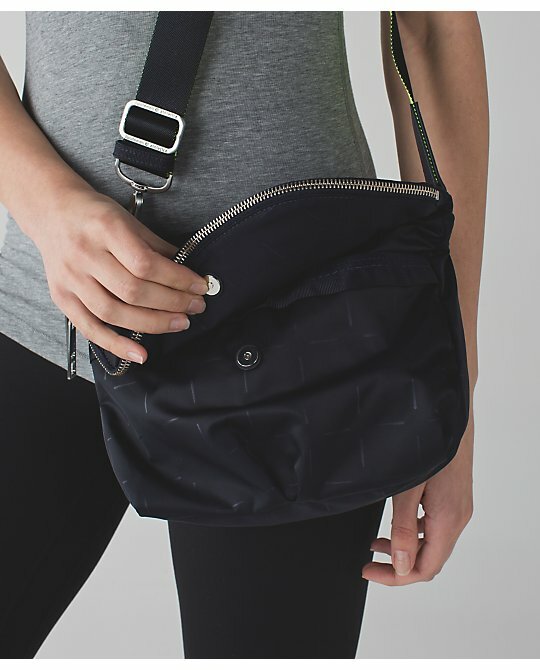 I keep hoping it pops up as an actual item to buy b/c I wasn't wild about the almost pear zipper on the front from last year's in terms of matching, but so far, just the teaser pics. Does anyone know if the new What the Sport II will completely replace the old version? The original was my favourite workout item *ever*, and I'll be heartbroken if they're discontinued. I came from Nike pros before lulu, so for me the original WTS was already long. If they made a boogie with pockets, I'd buy 20. I do think it's rude they put it at full price for USA when already marked down in Canada. I know Can-US treated differently for new and markdown and there is no longer any consistency (unlike in the past) on who gets what, when, full price or marked down. Ridiculous! @ anon 4:42 am - I agree. I would wait. What shirt is she wearing with the cosmic wunder unders?! I don't remember seeing anything like it! @Kiralic - maybe the Align and Define?